wrong home.” Like the birds, Newman’s clever paintings, some uncharacteristically small for an artist who likes to work at a large, architectural scale, at first delight, then purposely confuse our expectations, leaving us to sort out the point of view, the enigmatic shapes, and the hints of narrative on our own. These paintings are a gentle reminder that things aren’t always as they seem. 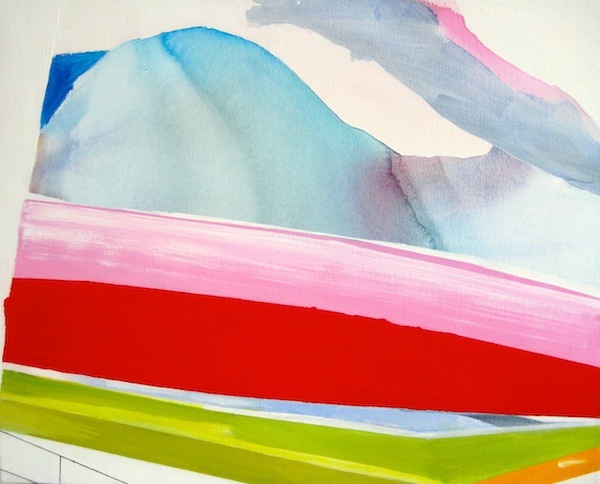 Laura Newman, Viewing Platform, 2012, oil on canvas, 22 x 30 inches. Image courtesy of Jen Bekman. 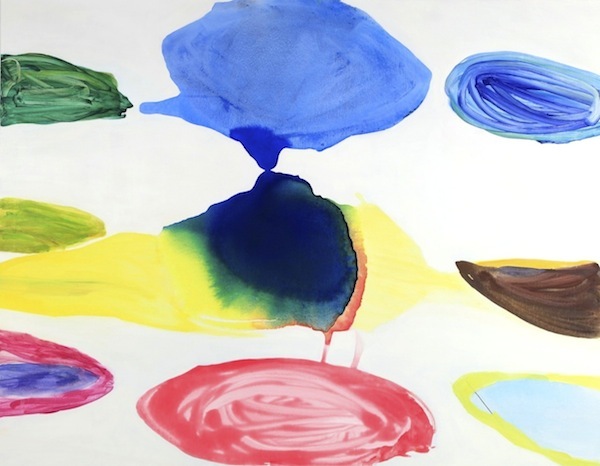 Laura Newman, Touch, 2012, oil and acrylic on canvas, 72 x 56 inches. 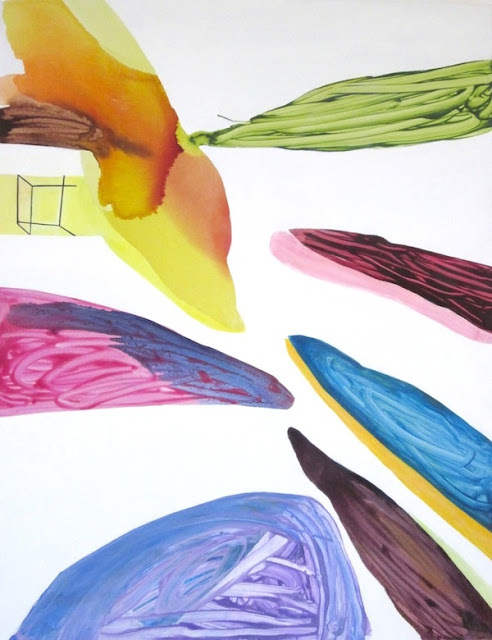 “Laura Newman: Recent Paintings,” Jen Bekman, LES, New York, NY. Through October 14, 2012. First one looks like a car. "Touch" perfectly conjures up that passage of her statement, of these lively birds convincing birds from other flocks to follow them back to the cages.